What if there were no telephones? That won’t happen if Abigail and her classmates blast into the past and persuade Alexander Graham Bell not to give up on his invention! Abigail is getting restless. It’s been three weeks and she hasn't time traveled once! 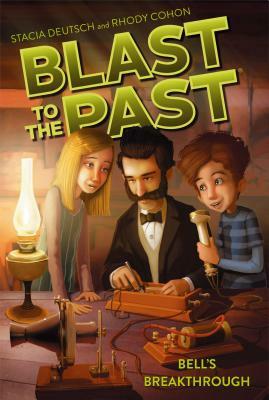 Luckily it’s Monday again, so when Mr. Caruthers asks the class, “What if Alexander Graham Bell quit and never invented the telephone?” Abigail knows it’s time to go back to the past—this time, to 1876! But when the kids find Professor Bell, he has given up on the telephone. In fact, he is hard at work on a new invention! Abigail and her friends have to get him back on track, but can they make a connection with the most stubborn inventor they’ve ever met?